Accidents happen to anyone anywhere. However, most accidents occur at home than anywhere else including work or even driving on the road. One of the leading causes of injury comes from slip and fall accidents. As per data provided by the National Safety Council, up to more than 8 million people are treated for an injury related to slip and fall accidents. As winter starts to settle in, the risk of slips and falls increases, adding yet another threat to the safety of your residents. One lousy fall could result to a number of injuries, that is why as a responsible Chesterfield County rental property owner, it is best if you make it a priority to complete a few essential maintenance tasks designed to significantly reduce the likelihood of slip and fall accidents happening at your rental homes. More than anything else, proper maintenance and inspection of exterior and interior walkways in a rental home is vital to stopping slip- and fall-related injuries. Rental properties need to be inspected to ensure that walkways and hallways are free of clutter, debris, leaks, runoff, and other obstacles. Another major item to check is flooring and carpets, which should always be properly maintained and repaired as deemed required. Loose fibers, broken tile, peeling laminate flooring, and loose or missing handrails can all lead to serious injuries. 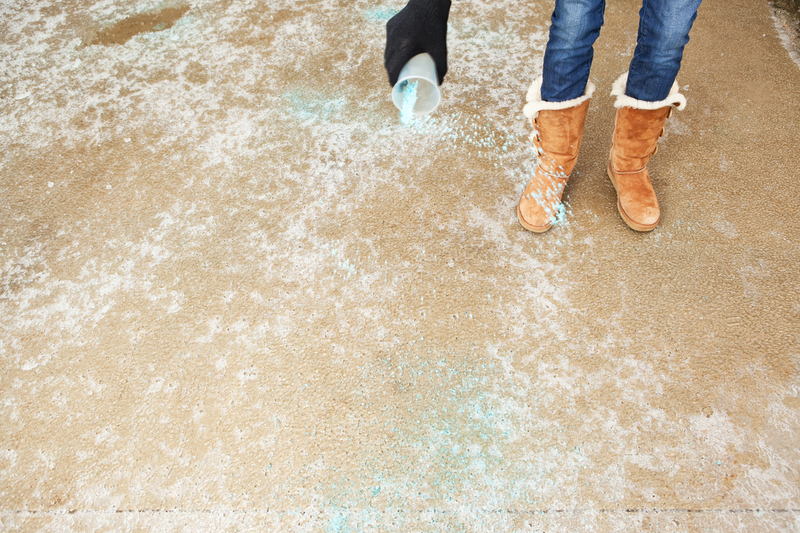 While you are checking your property, be sure to keep walkways clear of leaf debris, ice, and other problematic items. The outside should be reviewed periodically to guarantee that tenants are not saving objects in a manner that may obstruct walkways and present a hazard. Uneven surfaces should be fixed as promptly as possible, especially if ice is present. Chemical ice melt products should be used on steps and other high-traffic areas to ensure firm footing in freezing conditions. As a busy property owner in Chesterfield County, it can be challenging to make everyday safety a top priority. Safe hallways and walkways are great, but remembering to monitor your properties both inside and out for hazardous conditions can be difficult when more pressing matters arise. The good news is, there is a way to get the job done quickly and correctly so you can stop worrying about slip and fall injuries forever. Just call Real Property Management Richmond Metro! We will monitor your properties for you and take any necessary action needed to ensure that each of your rental homes is as safe as it can be. For more information, contact us online or call us at 804-417-7005.